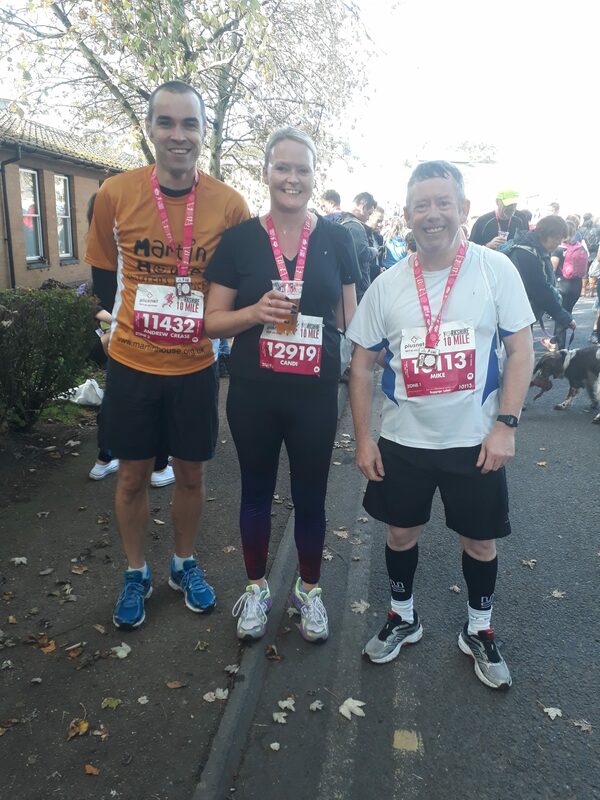 A couple of weekends ago I took part in the York 10 mile race. This was run alongside the Yorkshire Marathon. As you know a marathon is 26 miles (26.2 to be precise, why someone added an extra 0.2 is beyond me, was 26 not enough?) When you look at it in that context, 10 miles doesn’t seem far. If someone said lets go shopping, you’d jump in the car and happily drive off ten miles without thinking twice. Well I can tell you now, covering ten miles on foot is definitely something to think twice about. In fact you should think three and four times about it, ideally whilst sat in front of the television with a glass of red so you are not tempted to think it’s a good idea. I never really thought it was a good idea, I just didn’t appreciate what a bad one it was. One friend suggested we sign up to do it. I then mentioned it to another friend who was already signed up. He said maybe I would need to train more and should wait until next year. Well that was a stupid thing to say, as obviously I jumped on my high horse and signed up straight away. The training went quite well. I completed some nice long runs, in fact at one point I ran from pluto to the sun* So I turned up on the day confident I would complete it in my target time of 2 hours. As always before I signed up I checked the results from last year. I’m a very slow runner, but as long as I’m not going to be last then I’m happy to give it a go. Therefore with some 3 hour runners at previous events I was confident I’d be as usual in the middle average. Of course when looking at previous results I’d concentrated on the slowest people without realising that there was still going to be a rather large number of fast people doing it. I don’t mind getting overtaken by speedy professional looking runners. That’s just part and parcel of being a bit of a fairweather jogger. However when you suddenly realise that you are actually being passed by Zippy and Bungle from Rainbow you do start to think it might be time to hang up the trainers. Luckily one of the best things about these runs is the constant supply of sweets that the kindly spectators are giving out as you drag yourself round. The man in the batman suit might have finished way ahead of me, but I bet I enjoyed my jelly babies more than him. The thing with this kind of event though is that as soon as you reach the finish line you forget everything. You forget about the fact that at the half way point you were ready to sit down and wait for a taxi. You forget about the fact that your face is that red you are stopping traffic as you go past. You forget about the fact your toenails will probably never be the same again. As soon as you get your finish time, which in my case was a very respectable 1 hour 44 minutes, you forget what a stupid idea trying to run 10 miles actually is. In fact once you are actually able to walk again you think, what’s my next challenge going to be all pain forgotten. One thing for certain though is I won’t be doing a marathon. 26 miles ok maybe, but 26.2, that’s just silly. *York Solar System Cycle Path obviously!